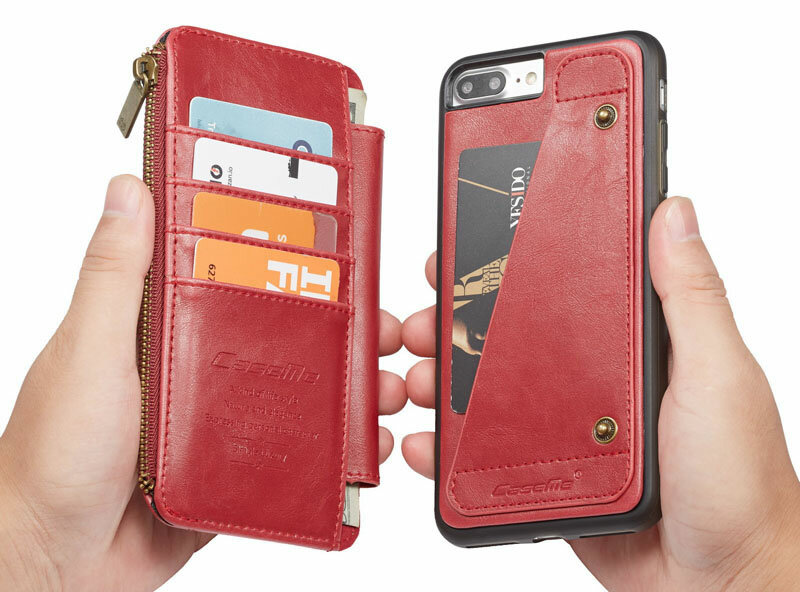 Free Shipping, Buy CaseMe iPhone 7 Plus Detachable 2 in 1 Zipper Leather Wallet Case with 5 Card Slots at the lowest price from official Casemecase.com. 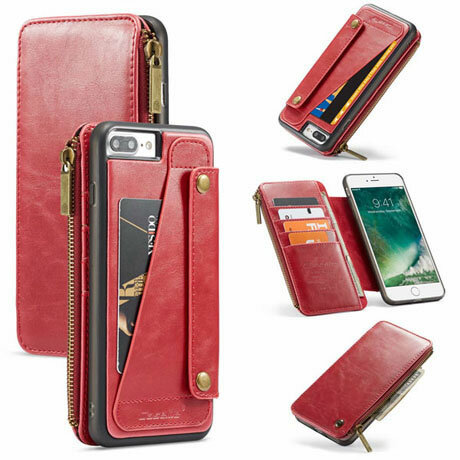 Slim profile, business fashion noble appearance, button closure with wallet separation, more convenient to answer the phone. 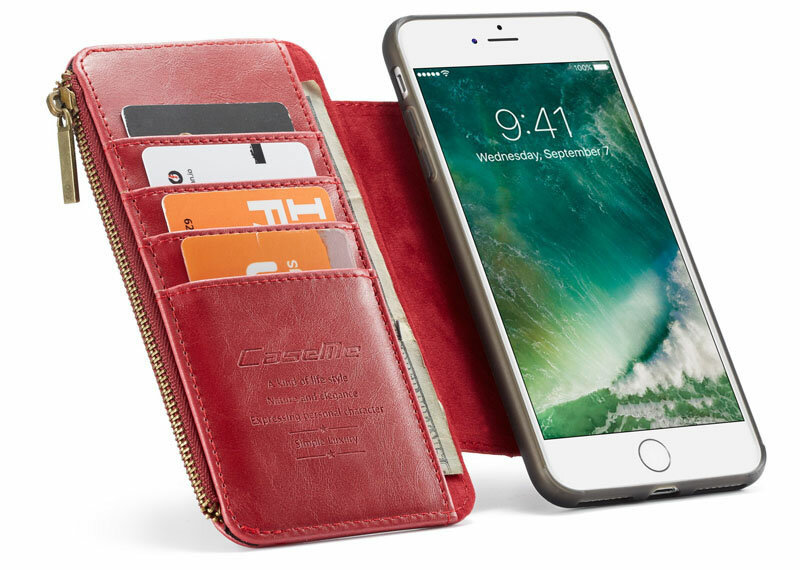 included card slots and money pocket, carry around your id, credit and debit cards, and cash without having to take your wallet with you. 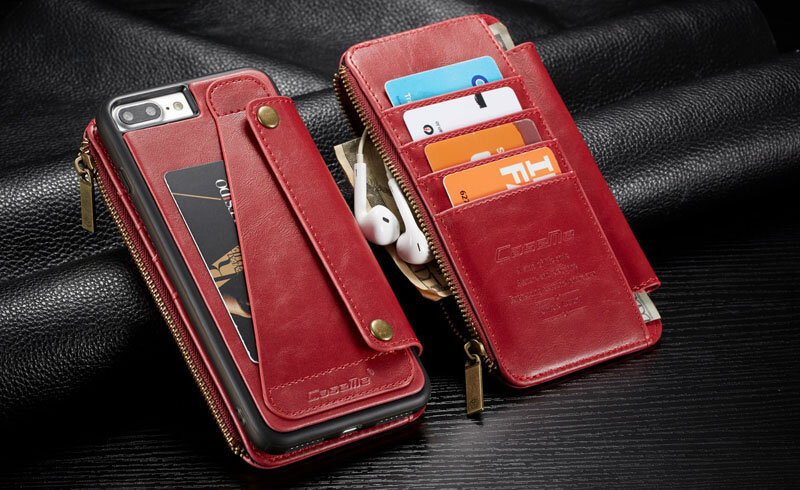 This wallet folio can store up to 5 credit cards, 1 zipper pocket , smart design allows you to easily flip the inner holder to access all your cards conveniently. 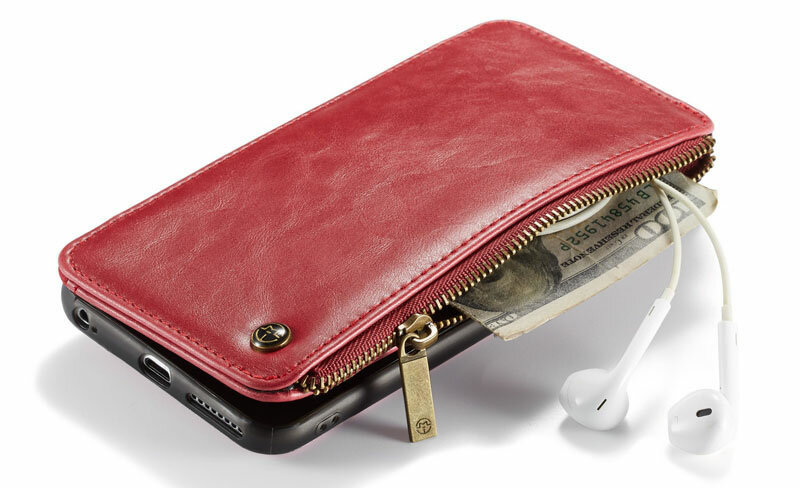 Extra zipper compartments can carry your keys, some cash or coins, a headphone cord, a phone USB charging line. 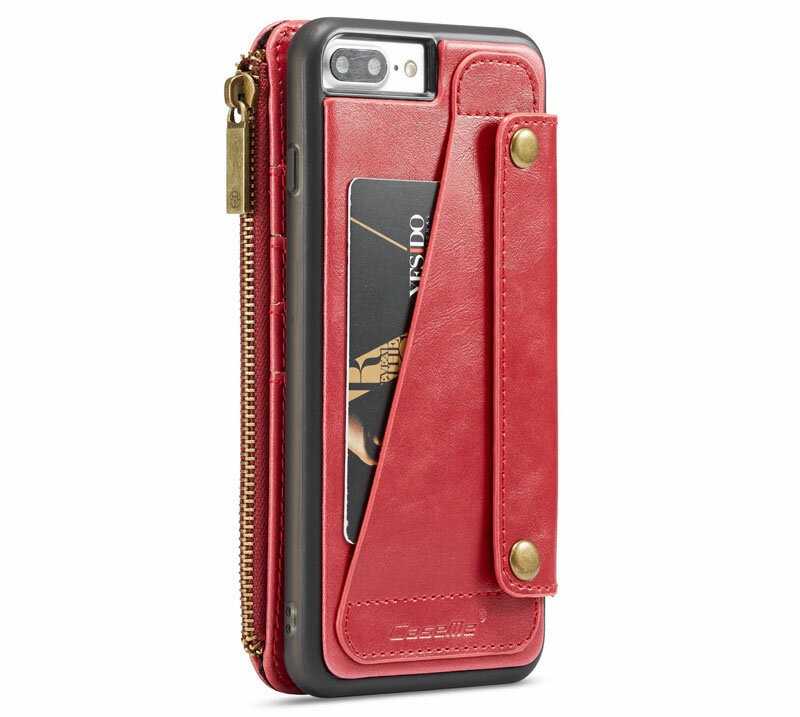 The extra slot can hold your business card, etc. A full-scale covering design to upgrade Anti-fall protective system. 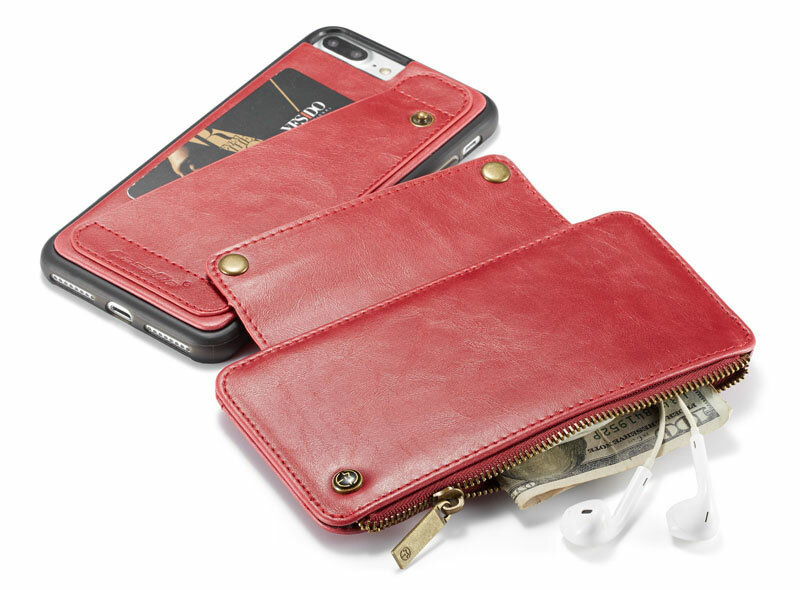 Provides 360° protection for you can keep your cell phone, and cards in one place, minimizing the amount of things you need to carry.